We need a variety of vitamins to support the functions of the body in order to work optimally so that the health of the body is always awake. In addition, we also need to know how each of the vitamins that work. 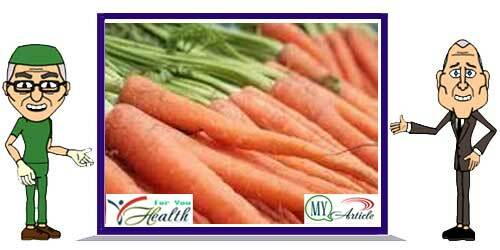 On this occasion we will learn the benefits and functions of vitamin A for healthy body. Maybe since childhood we have been taught that vitamin A has good benefits for vision or eye us and maybe that's all we know. Though there are many benefits and functions of vitamin A such as increasing endurance, preventing premature aging, to prevent cancer. Vitamin A is believed to improve eyesight by helping to distinguish between light and dark. It is not independent of retinol compounds that play a role in the function of the object penyalurkan received by the retina of the eye to the brain as an image. But not only that, eye diseases such as night blindness, glaucoma, cataracts can also be avoided with vitamin A. According to a study conducted at the University of York, the consumption of vitamin A supplements can help treat some types. Because the function of vitamin A here can control the malignant cells. This research was mainly conducted on cells of prostate cancer, but it may also work for other types of cancer. However do not necessarily taking supplements of vitamin A in excess. It is best to ensure adequate intake of vitamin A from natural food sources. One of the great benefits of vitamin A that can boost immunity, especially in children. This is supported by a study conducted in London found that vitamin A supplementation can reduce child mortality by 24 percent in the countries of low and middle income. While vitamin A deficiency in children may increase susceptibility to infections such as diarrhea and measles and may also lead to blindness. Vitamin A plays a direct role in the running of physiological functions and also help in the development of the central nervous system. It is also necessary in the formation of sperm cells, regulation of hemoglobin production in the embryo. Vitamin A has antioxidant (Beta Carotene), which not only prevent cell damage caused by free radicals but also helps in skin rejuvenation. Vitamin A will drive lines and wrinkles on the skin to produce more collagen, which is responsible for keeping the skin supple and youthful. In addition, it is also good for hair health and accelerate wound healing. Although so many functions and benefits of vitamin A, but we must not be negligent by taking supplements of vitamin A in excess or without a doctor's recommendation, because the excess would have harmful effects to the body. Take note and remember, this is the daily requirement of vitamin A: Men: 900 mcg / day, Women: 700 mcg / day, pregnant women: 770 mcg / day, and nursing mothers: 1300 mcg / day.